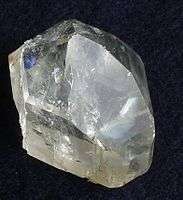 Topaz is a silicate mineral of aluminium and fluorine with the chemical formula Al2SiO4(F,OH)2. Topaz crystallizes in the orthorhombic system, and its crystals are mostly prismatic terminated by pyramidal and other faces. Brazil is one of the largest producers of topaz, some clear topaz crystals from Brazilian pegmatites can reach boulder size and weigh hundreds of pounds. 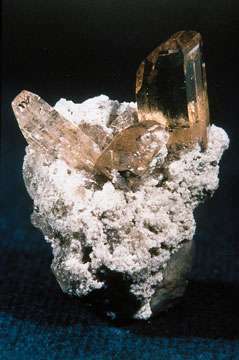 Crystals of this size may be seen in museum collections. The Topaz of Aurangzeb, observed by Jean Baptiste Tavernier weighed 157.75 carats. The American Golden Topaz, a more recent gem, weighed a massive 22,892.5 carats. 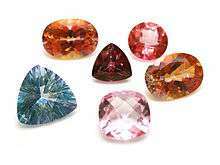 Many modern English translations of the Bible, including the King James Version mention topaz. However, because these translations as topaz all derive from the Septuagint translation topazi[os], which as mentioned above referred to a yellow stone that was not topaz, but probably chrysolite (chrysoberyl or peridot), it should be borne in mind that topaz is likely not meant here. The masoretic text (the Hebrew on which most modern Protestant Bible translations of the Old Testament are based) has pitdah as the gem the stone is made from; some scholars think it is related to an Assyrian word meaning "flashed". More likely, "pitdah" is derived from Sanskrit words (पीत pit = yellow, दह् dah = burn), meaning "yellow burn" or, metaphorically, "fiery". ↑ Anthony, John W.; Bideaux, Richard A.; Bladh, Kenneth W.; Nichols, Monte C., eds. (1995). "Topaz". Handbook of Mineralogy (PDF). II (Silica, Silicates). 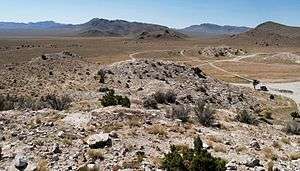 Chantilly, VA, US: Mineralogical Society of America. ISBN 978-0-9622097-1-0. Retrieved December 5, 2011. 1 2 Harper, Douglas. "topaz". Online Etymology Dictionary. ↑ See for extensive discussion Oliver Farrington, Gems and Gem Minerals, Chicago, 1903, p. 119. Farrington was curator of Natural History Museum in Chicago. "Topaz". Encyclopædia Britannica. 23 (9th ed.). 1888.